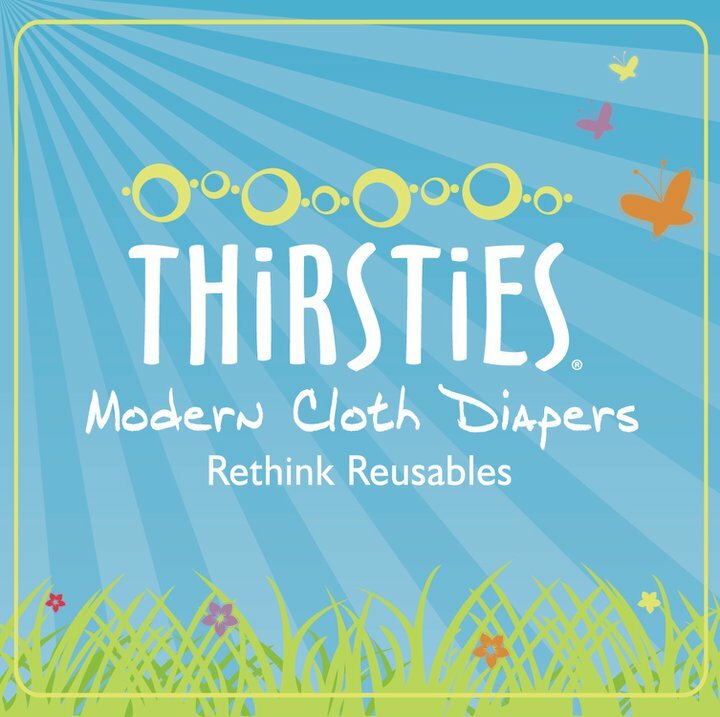 Thirsties makes cloth diapering affordable and easy for every family. From covers to all-in-ones, they offer it all. Many of their products are sewn by moms from their own homes. They are proud to not only offer American-made products, but to also keep their company as green as possible. 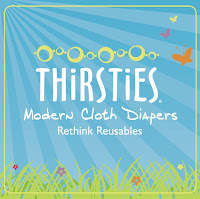 For our amazing grand prize giveaway, Thirsties is offering a one of their great Duo Diapers to our lucky winner. The Duo Diaper is a great pocket diaper. It comes in two sizes, which offers a trimmer fit than one-size diapers. They come in snaps or hook and loop closure and come in a variety of great prints and colors. My two favorite features on the Duo Diaper are the inserts and leg gussets. The Duo Diaper comes with two inserts -- one microfiber terry and one hemp jersey. They snap together and can be used as one super insert. The microfiber helps absorb urine quickly and the hemp jersey helps increase the amount that can be absorbed. These make this diaper one of my favorite for naps or car rides because I don't have to worry about them leaking. The internal leg gussets help contain messes. This is especially helpful for babies who aren't eating solids yet. It helps prevent blowouts that would normally occur if the baby were wearing a disposable diaper. 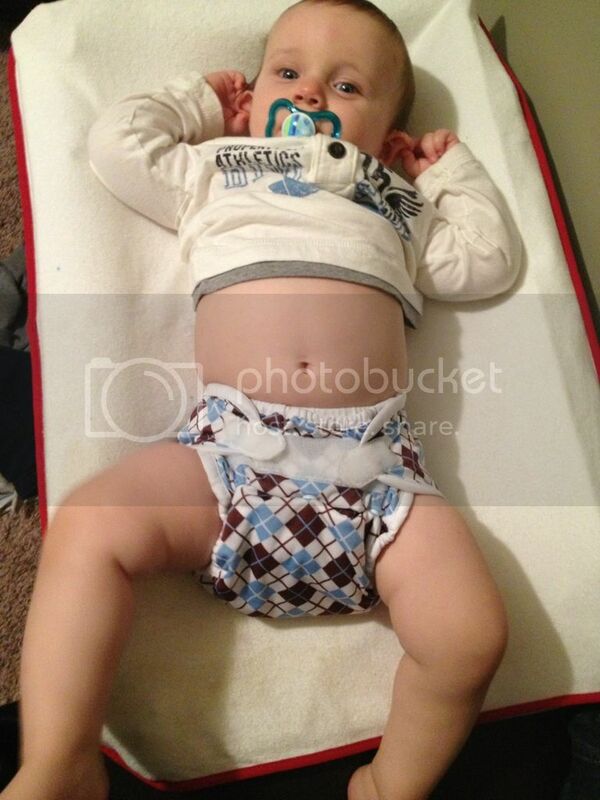 I have a few of these diapers, both in snaps and hook-and-loop. I like the fit I get with the h&l, but prefer the snaps. I love the prints they offer, including the new Scottish Storm pictured above. Don't forget to enter for your chance to win this diaper. The grand prize is worth $342! I was provided with a product for the purpose of this review. All opinions, however, are my own.